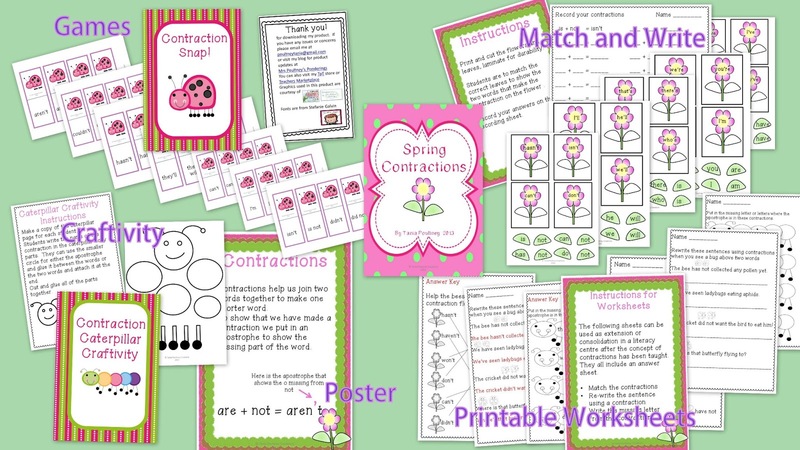 I just wanted to pop in really quickly to share my latest pack with you, it is all about contractions with a Spring theme. It includes a poster for you to display as a visual reminder for students, Match and Write, Contraction Caterpillar Craftivity, Contraction Snap and some extra printables for you to extend or consolidate. 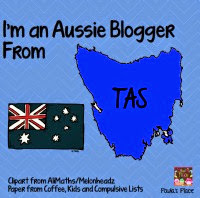 You can get yours here from my TpT store as usual it is on sale at 20% off for the first week. If you are a Facebook follower check out my Free for Fans button to get a freebie from this pack, if you aren't a FB follower click on th FB button above and like my page to get your freebie! I enjoyed making this pack as it is just heading into Autumn here and starting to get quite chilly in the mornings so to make something bright and cheerful helped me forget about the cold weather a coming! Ooo I love the caterpillar idea Tania!